Many people may need to use a power of attorney at some time during their lives, either for a limited time or for an extended period. 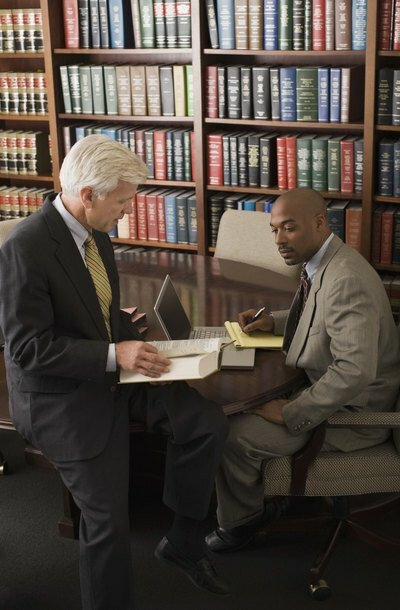 Powers of attorney generally deal with financial or health care matters. They transfer control of one person's affairs to another, trusted individual. The person who grants the power of attorney is known as the principal and the person who accepts the authority is known as the attorney in fact or agent. If you grant a general power of attorney, you grant broad powers to another person for whatever kinds of tasks you desiginate. That agent, or attorney in fact, can then deal with your bank accounts, pay bills, arrange insurances and correspond with social security services or other third parties on your behalf. General powers of attorney terminate immediately when the principal dies, revokes them, or becomes mentally incapacitated unless the document expressly provides otherwise. If the POA deals with real estate, the property involved should be described and the document should be filed with the recorder of the county where the property is located. A limited power of attorney authorizes the attorney in fact to deal with a specific matter or matters, for example selling the agent's car, completing a tax return or purchasing a parcel of real estate. The power of attorney document should set out the precise powers that are being granted to the agent. Most limited powers of attorney are in effect only for the length of time required to carry out the particular task. Many general and limited powers of attorney terminate when the principal becomes mentally disabled or unable to make legal decisions, even though it is at such times that a power of attorney can become particularly useful. For this reason, many states permit durable powers of attorney that continue in effect even if the principal becomes incapacitated. In Iowa, under Chapter 633B.1 of the Iowa Code, a power of attorney will continue in these circumstances provided that it contains wording to indicate that it shall not be affected by the principal’s disability. Chapter 144B of the Iowa Code sets out the law relating to durable powers of attorney for health care. A health care power of attorney authorizes an agent to make decisions concerning the medical care and treatment of another. A durable power of attorney for health care should be signed by the principal, witnessed by two independent witnesses and acknowledged by a notary public in Iowa. Section 144B.5 contains a statutory form for creating a health care power of attorney. What Is the Difference Between General Power of Attorney and Limited Power of Attorney? A power of attorney authorizes another person, referred to as your attorney-in-fact, to act for you, the principal, when you are unable, unwilling or incapable of acting on your own. The power can apply to a particular transaction or under a widespread host of circumstances. The type of power of attorney you execute will govern the types of transactions covered by it and often the time period during which it may be used.